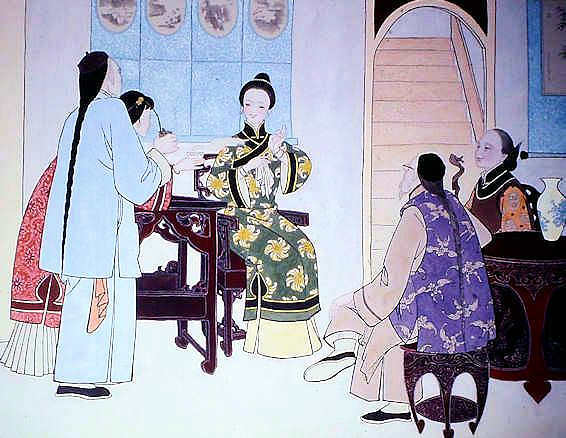 Very often men hope to find a good wife while a lady would wanted the same. Traditionally and perhaps till today in most cultures which still practices, man are the head of the family. Thus wife is always to follow husband. There is a saying that “Behind every successful man is a supportive Wife”. 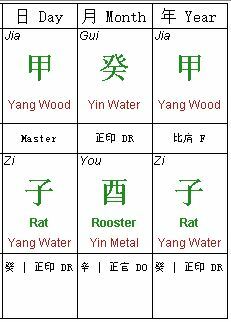 It is also reflected in Bazi the art of Chinese Astrology. Astrology or Bazi is one good tool to help identify what makes up a good or compatible wife based on ancient values. This is why in the olden days before any marriage they either have the elders fix the marriage or a professional match maker to match their couple’s Bazi for compatibility. But today’s celeb Bazi teachers has a quick way to check it out based on the lady’s bazi on the Day Pillar. This is an easy & quick way to look for the “perfect” wife. It’s called the cheatsheet to Bazi. The method is very easy, just look for a lady spouse palace for one of these 3 gods which is the Direct Officer, Direct Wealth or a Direct Resource. To help you understand where is the spouse palace, it is the location under the Day Master or The Day Pillar Earthly Branch. You can view the below example. Direct officer in the study of 10 Gods is also known as the husband star thus it is desirable to have it in the spouse palace so the marriage is supposed to be good. Here is some example of women with Direct Officer in the spouse palace. Thus only Xin, Geng, Ding & Bing Day masters. If you do not have a DO, a wealth star is also usable according to this method. this is because wealth produces the Officer and why direct is preferable because according to the celebrity master, Direct stars are by nature good while Indirect are usually the less behaved stars. Here is an example of having a DW in the spouse palace. Finally if you could not find a DO or DW in the spouse, a direct resource will also work well. The reason is Resource star means comfortable and especially true when it is the Direct Resource. This could translate to the lady being pampered by the husband. This is also a very rare formation since only 4 day master will ever have it. It is only possible with a Ji or Wu or Jia or Yi day masters. So with this you will have all the 10 day masters covered and once you know what is your day master, you can just look for the Day Pillar to pick up your girl as your future perfect wife. It’s just that simple. 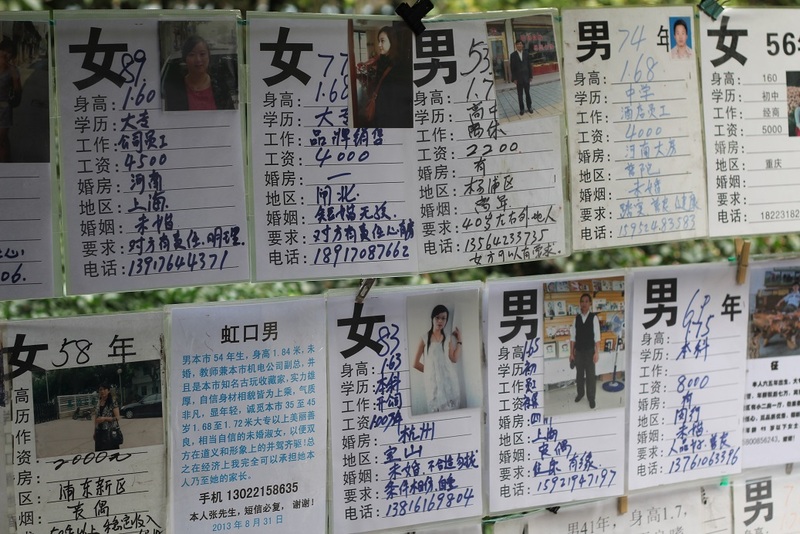 p/s: All the charts up there fulfill the cheat sheet 1 pillar reading but all of them, had more than 1 marriage. I wish life is just that simple and plain. 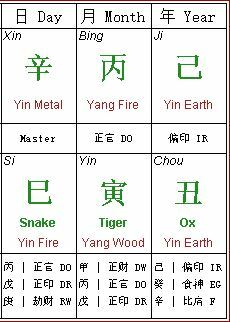 Marriage Bazi is about compatibility between 2 charts. 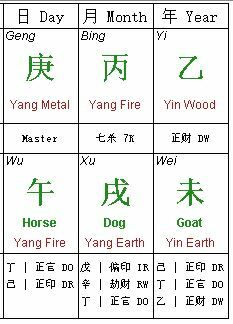 When I say chart, it means the entire Bazi Chart or 4 Pillars. 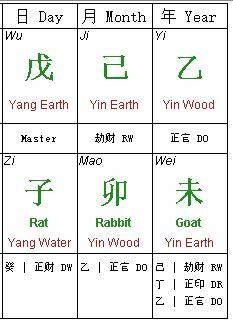 To learn how to Really Read BaZi Click here….